The 2018 season kicked off with a new, exciting natural tone – Teak Life UV Tan. 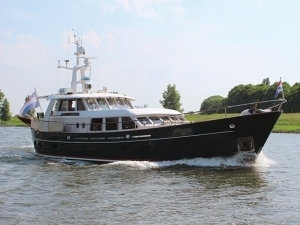 Most recently applied to a Pieter Beeldsnijder-designed 18.3m motor cutter based in the Netherlands, the boat was cruised extensively this summer in fresh and saltwater around the North Sea and Holland, putting Teak Life UV to the test. The owner not only appreciated the new color, but he also found that he could keep the decks clean much easier compared to other treatments and products. 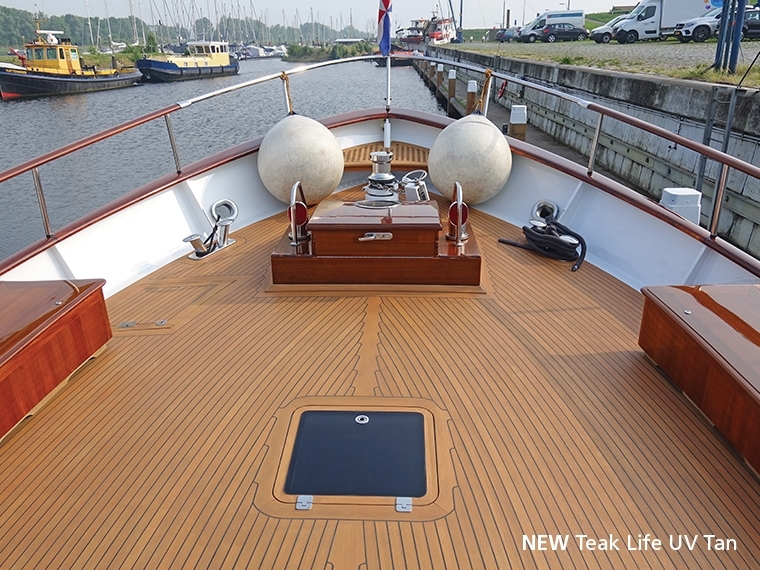 Although Teak Life is known to last 50 percent longer than competitive treatments, Teak Life UV can be touched up quite easily, only requiring a light cleaning and maintenance coat. This approach means less damage to the teak from sanding or scrubbing, extending the life of the deck and making maintenance easier. Learn more about Teak Life Wood Wash.